In a time that feels like ongoing trauma with insurmountable obstacles throughout the world, the sistas of Climbing PoeTree have become a source of strength within those fighting the good fight. With their moral compass securely centered, they are certain that they are a part of something bigger than themselves, and act on their desire to be the change they wish to see in a world of turmoil and despair. Alixa Garcia was 19 when she met Naima Penniman. The cultural workers and multimedia performance activists based in Brooklyn have established a mission to overcome destruction with their creative vision. In 2003, they immediately recognized the soul connection between one another and the collaborative synergy that would enhance their similar aesthetic energy solidifying their goals as activists and artists. As soon as they met they started creating together and within the first six months they had set out on their first national tour. Over the last 13 years, people have been deeply touched by their work, which gives them the inspiration to keep doing what they do. Their poems resonate and speak to not only fellow artist activists in the struggle but also to those who are unfamiliar with the territory they tread. They think a lot about the future generations and how what they do now will speak to how they gain traction to move forward. Early on, Naima was organizing as a political activist working to address the prison industrial complex and criminalization over policing in New York, teaching poetry in women’s prisons. Alixa was organizing in her native Colombia around displaced people and environmental issues. They both understood the interconnected realities of their experiences and how their voices were among those privileged enough to speak up and speak out. Alixa credits art with saving her life during her teenage years, which opened the door to her becoming a slam poet and navigating the world of competitive poetry. Naima was also a creative spirit as a youngster and, at age 18, was introduced to poetry by going to the Nuyorican Poet’s Cafe on the Lower East Side of Manhattan where she got her first inspiration to write. Poetry has taken them all over the world and enabled them to sow seeds of resistance and empowerment into their audience. They’ve since released two recording projects, 2014’s Ammunition and just recently Intrinsic, which is the creative result of a successful crowdfunding campaign where they raised more than $50,000. Climbing PoeTree’s new album features 32 musicians backing the two poets. In 2017 they continue to tour, sharing their redemption songs with audiences across the United States. They feel blessed to represent young, queer women of color who have a distinctive voice that is representative of the many who remain silent. They’ve developed the Hurricane Season curriculum that addresses systems of oppression, resistance and liberation. With an international effort in researching and designing each lesson, they use poetry, hip-hop, and animation in ways that allow young people to understand what it is that they’ve inherited, and how they can best apply their skills, talent and inspiration to combat the oppressive obstacles they face. Several other social justice initiatives and projects that Climbing PoeTree continue to lend their support and creative vision to can be found on their website. Devoted to visions of healing and justice, Climbing PoeTree uplift the stories that are important to the growing majority at this day in age. They see art as a tool for personal transformation, community resilience, and for being able to talk about the issues that are relevant to their community. Survival and being able to inspire each other and those who are misdirected. To be able to take full agency around the change that the world is so thirsty for. 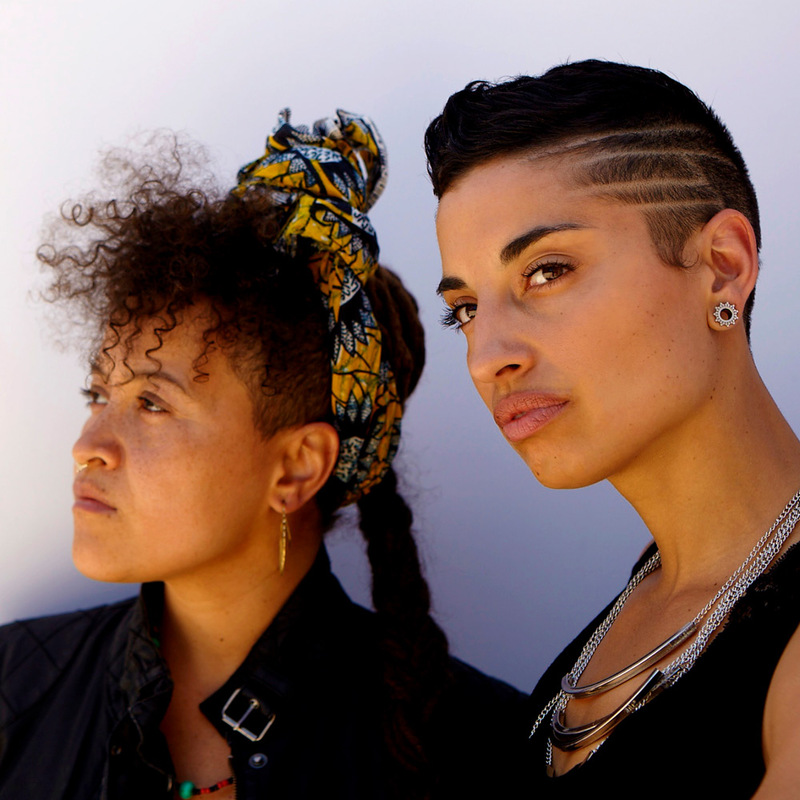 The creativity in being an artist and an activist are inseparable for these two poets. They are certainly a creative force with a true purpose.